Cruising through Alaska's Glacier Bay National Park. Lamplugh Glacier, summer. Yearning to explore the best of Canada and the US but not sure where to start? Nexus Holidays has created an epic adventure that encompasses the best of these two wild countries, beautiful USA and Canada. A kaleidoscope of scenic splendour, diverse cultures, intriguing history, and buzzing cityscapes, Nexus Holidays’ 21-day Best of the Canadian Rockies, Alaska Cruise & USA National Parks (from $6999 per person including airfares) tour is all of this and more. This fantastic itinerary starts in Canada, a natural wonderland known for its soaring snow-capped mountains, glacier-fed turquoise lakes, and infinite prairies. But beyond its aesthetic beauty you’ll find cosmopolitan cities; historic coastal villages; some of the best ski resorts in the world; and remote provinces that feel like the final frontier. Canada nestles its way into the hearts of Australians with friendly familiarity, yet excites with a diverse cultural landscape of First Nations communities, French heritage and American influences, which add a large dose of flavour both figuratively and literally. You’ll visit Canada’s iconic Banff National Park and tranquil Lake Louise, also known as the Jewel of the Rockies. You’ll take in Jasper National Park, the largest in the Canadian Rockies blessed with stunning glaciers, lakes and mountain peaks, and spot grizzlies on an optional river cruise to Grizzly Bear Valley. Your Canadian adventure ends at Vancouver’s Granville Island, where you’ll explore its public market, a foodie haven for locals and visitors alike. Across the border, the US’s famous landmarks such as the Big Apple, Hollywood and Las Vegas make it a coveted holiday destination. But look beyond the obvious and you’ll find incredible diversity with natural and man-made beauty, unique cuisine, and a multitude of experiences for adventure seekers, nature lovers and culture vultures alike. Think cool, hip neighbourhoods; historic towns with old-world architecture; and breathtaking national parks and wide, open landscapes. 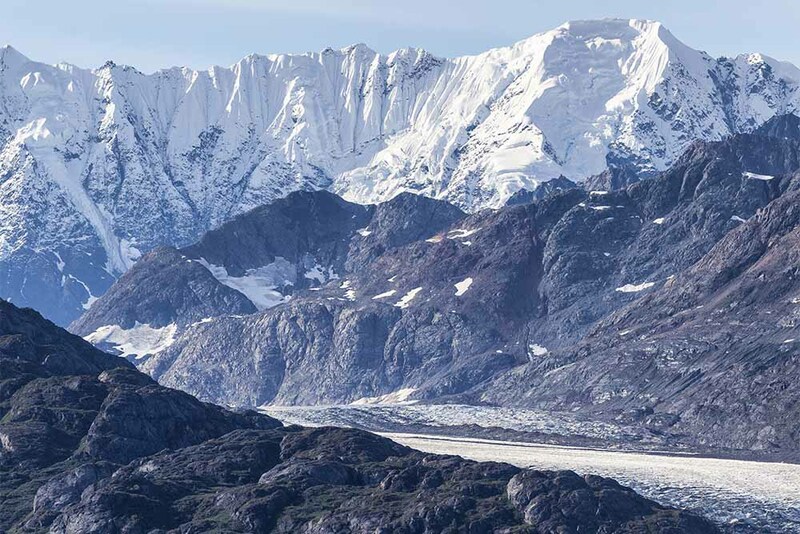 Once you cross over into the US you’ll board a luxurious ship for a cruise around Alaska’s glaciers and Inside Passage, witnessing some of the most spectacular scenery in the world. You’ll also explore the world’s first national park, Yellowstone, along with four other remarkable US national parks, colossal Hoover Dam, and the inimitable Grand Canyon, before concluding at the neon city of Las Vegas. No other tour encompasses such impressive natural beauty and diverse experiences as this. Have your pen ready because this tour will have you ticking off your bucket list one by one. Naturalists will be delighted by this itinerary, which covers these seven national parks across Canada and the US. 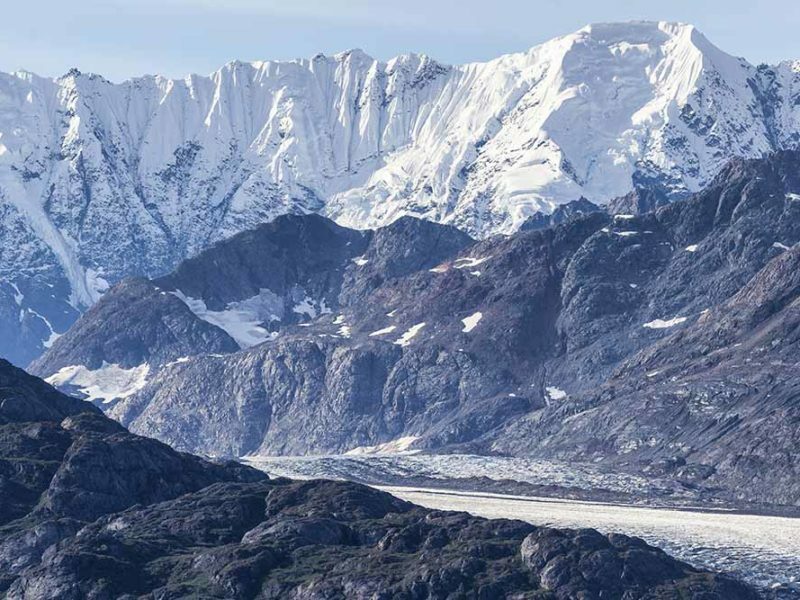 At just under 665,000 hectares, this NP has soaring mountains, lakes (including famous Lake Louise), large caves and more than a thousand glaciers. Wildlife spotting – elk, caribou, mountain goat, bison, coyote, lynx, black bear, grizzly bear, red fox and more. More than one million hectares and Canada’s largest NP, Jasper has mountains, valleys, forests, alpine meadows, lakes, rivers and glaciers, as well as mineral-rich Miette Hot Springs and Maligne Canyon, which is home to thundering waterfalls. Wildlife spotting – moose, elk, coyote, rare woodland caribou, grizzly bear, black bear and more. Described as ‘otherworldly’, Yellowstone was declared the world’s first national park in 1872. At 899,100 hectares, it sits on top of a dormant volcano and is blessed with more colourful hot springs, mudpots and geysers than anywhere else on Earth. Wildlife spotting – buffalo, grizzly bear, wolf, badger, otter, coyote, mountain lion and more. Spread over 125,453 hectares, Grand Teton has old homesteads and cattle ranches hidden among mountains, valleys, lakes, rivers and forests dotted with wildflowers. Wildlife spotting – elk, beaver, coyote, bison, moose, bald eagle and more. It’s relatively small at 14,500 hectares but packs a punch: Bryce Canyon NP is a series of spectacular canyons, the most famous of these featuring the largest collection of hoodoos (odd-shaped rock pillars) in the world. Wildlife spotting – peregrine falcon, pronghorn, mountain lion, great basin rattlesnake and more. This 50,000-hectare park boasts colourful canyons, striking desert, the windy Virgin River and waterfalls. Wildlife spotting – mountain lion, bighorn sheep, bobcat, beaver, ringtail cat, peregrine falcon, Californian condor and more. No introduction is needed for this world famous natural wonder, which stretches 446 kilometres long, 29 kilometres wide and 1.6 kilometres deep. Wildlife spotting – mule deer, bison, hog-nosed skunk, mountain lion, California condor, elk and more.